Rwanda, Uganda and Congo collectively add up to what is called the East African primate haven. In addition to Gorilla tracking, chimpanzee tracking is also one of the great attractions in the region. The chimpanzees together with Gorillas are the only great apes limited to Africa. Chimpanzees are said to be mans closest relatives sharing 98% of our genetic composition. 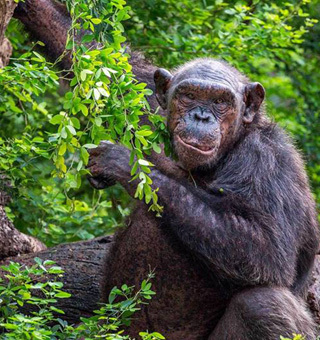 Chimpanzees live in social communities with dozens of individuals, in African rain forests. chimps are knuckle-walkers, that means they walk on all fours, but sometimes they may move upright just like humans. Their diet is composed mainly of fruit and plants, but may eat insects, meat and eggs. Chimps live up to 50 years. Rwanda and Uganda offer chimpanzee tracking and habituation opportunities with several places available for travelers to visit. 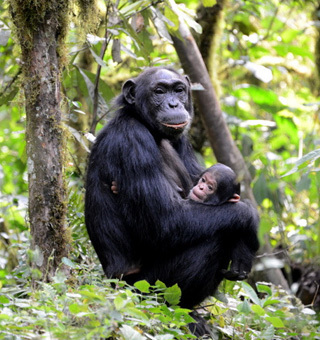 While in Rwanda, one can go for a Rwanda chimpanzee tour in Nyungwe Forest National Park. 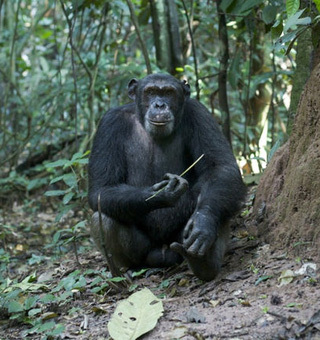 Uganda on the other hand has several areas where one can go for a Uganda chimpanzee tracking tour including Kibale Forest National Park, Ngamba Island Chimpanzee Sanctuary and Queen Elizabeth National Park.